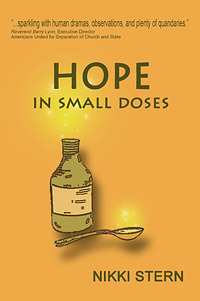 This week on Skepticality, Derek has a discussion with noted humanist Nikki Stern on her latest book, Hope in Small Doses. The book is a journey to find the ultimate meaning of “hope” from a secular point of view without the need or requirement for supernatural thinking. Hope has been something that Nikki has thought a lot about since the tragic death of her husband during the 9/11 terrorist attack on the twin towers in New York City. NOTE: This episode is scheduled to be live on Wednesday, August 15 by noon Pacific Time. A Moment of Truth (or not) for the most famous UFO abduction case in history? In this week’s eSkeptic, Michael Shermer recounts his 2008 appearance on Fox’s game show The Moment of Truth, in which he got to ask Travis Walton a question about his alleged abduction by aliens on the evening of November 5, 1975. 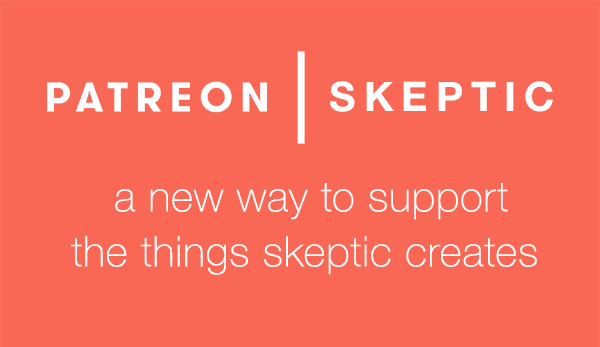 This was also published on Skepticblog yesterday. 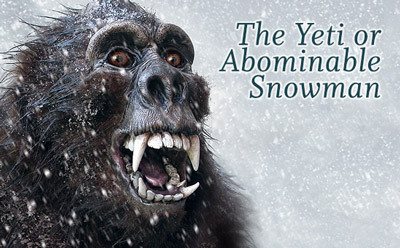 Leave your comments there, or on this eSkeptic archive. Because I have a teenage daughter I am relatively current on what’s popular in pop culture. American Idol is the ne plus ultra in the reality television genre (don’t let yourself get hooked), and because Fox incestuously promotes its other shows I was vaguely familiar with The Moment of Truth, a game show in which contestants have to tell the truth under the watchful wires of a lie detector in order to win cash prizes. Contestants are put through a battery of questions while hooked up to the polygraph, but are not told whether the examiner determined from the readings whether or not they told the truth. Later, in front of millions of viewers and a live studio audience, with their friends, co-workers, family, spouses, or boyfriends and girlfriends (or ex’s) sitting on the set with them, they are asked the same questions again. After each answer a female voice says “That answer is…” and after a long pause a “true” means the contestant continues up the ladder to $25,000, $100,000, $200,000 all the way to half a million bucks. A “false” sends you packing for home. Watch the movie on iTunes. 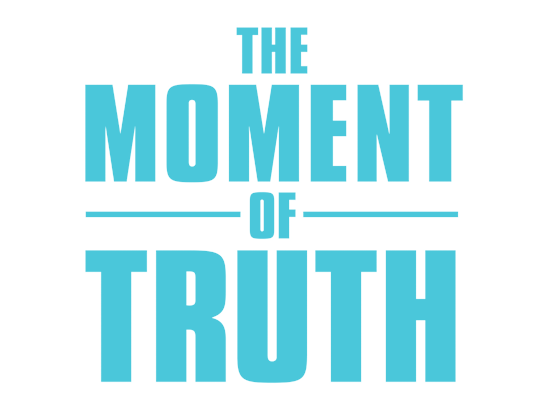 On July 31, 2008, I appeared on The Moment of Truth (watch Part 1 on YouTube. I appear at about 7 min. 35 secs. in Part 2.) 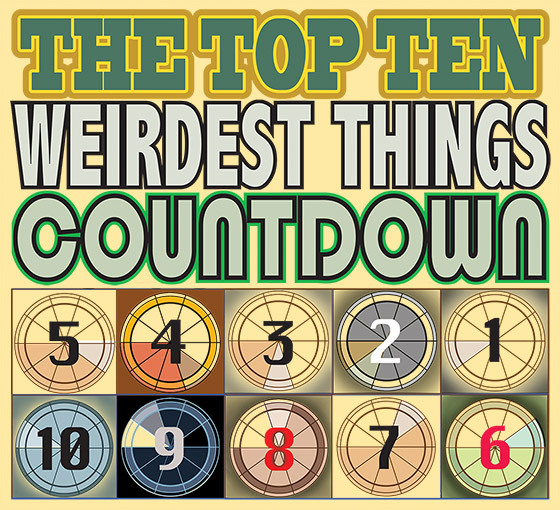 The contestant was Travis Walton, arguably the most famous alien abductee in Earth history. I agreed to appear only if there were no sexual allusions (alien probes aside). My question for Mr. Walton: “Do you have any evidence to support your claim of being abducted?” Of course he answered in the affirmative, because for three decades Travis Walton has been telling people that on the evening of November 5, 1975, he was “zapped” into a UFO while working as a logger in an Arizona National Forest. His evidence? His co-workers said they saw it happen. Five days later Walton called from a nearby payphone to report that the aliens had let him go. And none too soon, because Walton and his co-workers were about to miss their deadline of November 10th to finish the logging job, after which they would be docked 10 percent of the contract, unless an “Act of God” prevented completion. Enter the UFO. Why aliens? For years Travis and his older brother Duane had talked about the UFOs that they had seen in Arizona, and they even made a pact that if either one were ever abducted they would insist that the aliens abduct the other one as well. Coincidentally (not! ), two weeks before Walton’s abduction, with the logging deadline growing near, NBC aired their prime-time made-for-television movie The UFO Incident, about the 1961 Betty and Barney Hill abduction case. 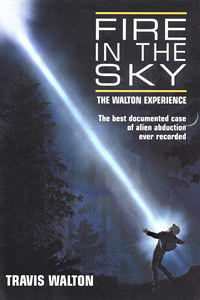 Although Walton passed a polygraph test arranged by a UFO organization, Klass learned that Walton dictated to the examiner what questions would be asked. Further investigation by Klass led him to an earlier unpublished polygraph test of Walton, conducted by Jack McCarthy, one of the top polygraph examiners in Arizona. McCarthy gave Klass his assessment of Walton’s story: “Gross deception!” He added that Walton employed polygraph countermeasures, such as holding his breath. “False.” I couldn’t believe it. Neither could Walton, whose jaw dropped faster than a crashed flying saucer. At last, after a bestselling book and popular film about his abduction, Fire in the Sky, after countless UFO conferences and media appearances, it took a Fox reality television show to bring the case to a head. What does this mean? To be fair and balanced (! ), possibly nothing, because the polygraph test is unreliable. In fact, I even thoroughly debunked it myself in a two-part special for the Fox Family channel (watch Part 1 and Part 2 on YouTube). I normally would not have ever agreed to be on such a show. After my fellow crewmen and I passed polygraph tests from the Arizona state police polygraph examiner I wrote in my book that I was done addressing that aspect of it. There the matter rested until last year when I received the bad news from my employer of 11 years that over a hundred of those most recently hired (which included me) would be permanently laid off. Coincidentally I came home that day to receive a phone call from The Moment of Truth inviting me to be a contestant with the possibility of winning up to $100,000. I’m no fool. I knew that the show’s public lure was to familiarize the audience with the contestant’s friends& family and then shockingly disgrace him with a key “failed” question. I wrote to several friends about my misgivings. The examiner was their man, with a vested interest in giving his employer the scandalous Jerry Springer type “entertainment” that has been the show’s stock in trade — to say nothing of saving them from awarding any prize money. I was made even more uneasy to learn that up to then very few had won much of anything. The outrageous demands set down in their contract was the clincher. I declined their offer. But they persisted, modifying the standard contract to satisfy my objections. They said the rules were being changed to insure more prizes would be awarded. My looming layoff pushed me to reconsider. I inquired as to whether good, accepted modern polygraph methods were being used. They assured me that was the case. I should have known better, but I figured all I had to do was tell the truth, even if I had to make public something embarrassing like a personal business or marital mistake and I would win top prize. I didn’t became aware of the shocking truth about the polygraph procedure they were using until it was too late. It did no good to tell them what I’d written in my book (page 322) years earlier, that “The American Polygraph Association’s Standards and Principles of Practice item #5 states: “A member shall not provide a conclusive decision or report based on chart analysis without having collected at least two (2) separate charts in which each relevant question is asked on each chart. A chart is one presentation of the question list.” There many other violations of accepted procedure. 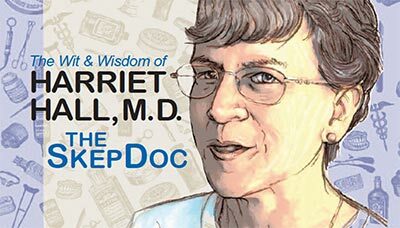 We came back home and my wife had me retested with the most rigorous new tests we could find — in New Mexico where it is stringently regulated by the state because results are admissible in court there. A firm highly recommended by other examiners, one that does work for the Albuquerque Police Dept, the NM State Prison, and the U.S. Marshal’s office. The most accepted methods on state-of-the-art computerized equipment. I passed two different new tests flawlessly. Then I found a website that was even more devastating of any claim of legitimacy for The Moment of Truth: The Truth About the Moment of Truth. Written by a court certified polygraph expert back in 2004 shortly after the show debuted, he began with, “…the polygraph aspect of the show has no validity whatsoever.” and “This test format will NOT determine truth or deception.” In fact I wrote years ago that the GAO tests showed such methods would yield as high as 80% false positives. 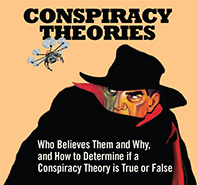 He wrote in conclusion, “Due to the vague, subjective, futuristic nature, and sheer volume, of relevant questions asked on The Moment of Truth, there can be little more than chance accuracy in determining truth or deception to these questions. 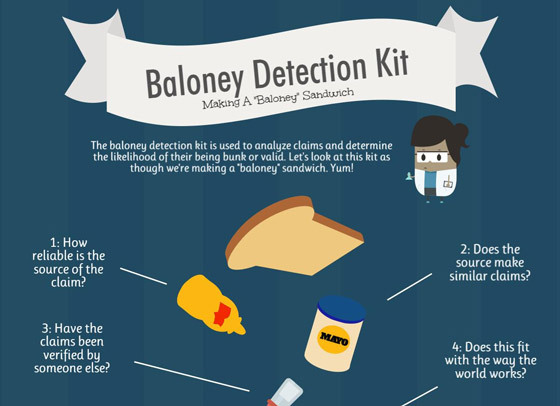 In other words, they could simply flip a coin and achieve the same accuracy levels.”, saying you’ll get the same opinion from any accredited polygraph school. I then proceeded to gather several more equally damning judgments from some of the very top experts in the world in polygraph, plus I had several international mediaforums lined up. So there’s a bit of a let down because I was geared up to defend myself in a way that would have unfortunately demolished the show and seriously hurt Fox. Too bad, because I think that the producers I dealt with are good, well intentioned people who had been duped by a dishonest examiner. Check out that website and tell me what you think. I think the polygraph is not a reliable determiner of truth. I think Travis Walton was not abducted by aliens. In both cases, the power of deception and self-deception is all we need to understand what really happened in 1975 and after. Since there is no evidence that extraterrestrials have been visiting Earth and abducting humans, how could anyone believe they were abducted by aliens? To answer this question, Harvard post-doc psychologist Susan Clancy interviewed and evaluated “abductees,” listening closely to their stories — how they struggled to explain something strange in their remembered experience, how abduction seemed plausible, and how, having suspected abduction, they began to recollect it, aided by suggestion and hypnosis. Clancy argues that abductees are sane and intelligent people who have unwittingly created vivid false memories from a toxic mix of nightmares, culturally available texts, and a powerful drive for meaning that science is unable to satisfy. For them, otherworldly terror can become a transforming, even inspiring experience. Deceit, lying, and falsehoods lie at the very heart of our cultural heritage. The ever-present possibility of deceit is a crucial dimension of all human relationships. 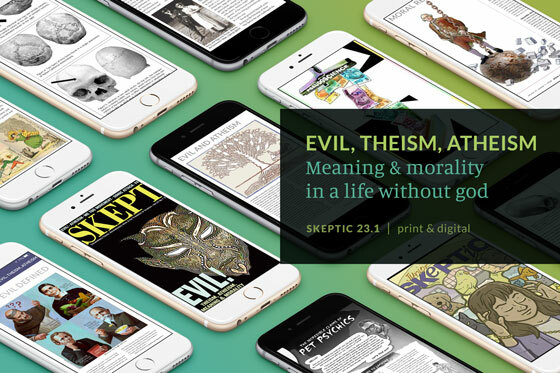 Philosopher and evolutionary psychologist Smith elucidates the essential role that deception and self-deception have played in human—and animal—evolution and shows that the very structure of our minds has been shaped by the need to deceive. 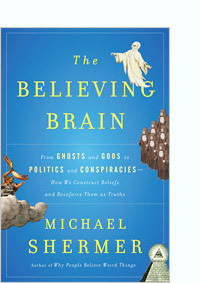 Smith shows that by examining the stories we tell and the unconscious signals we send, we can learn how our minds work.